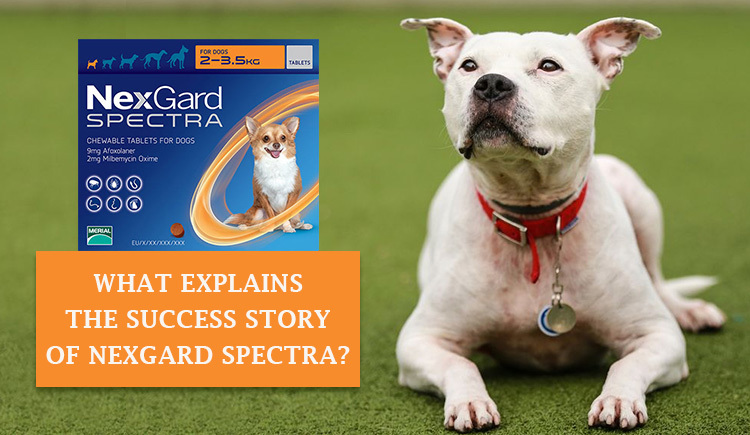 If one product, which has proven its mettle in addressing major pet issues, it is none other than product by Merial- Nexgard Spectra. Over the years, it has emerged as the solution best armed to fight fleas and ticks, worm and heartworm in pets. The presence of active ingredient Afoxolaner and Milbemycin Oxime give the product, required ammunition to take on all major parasitic infections in dogs. 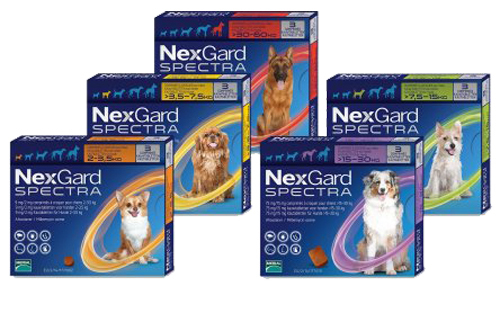 Designed for oral consumption, Nexgard Spectra comes in beef-flavored chew, which can be, given to your pet with or without food. The success story of Nexgard Spectra can be, best decoded by the favorable word of mouth, it has garnered from its customers. 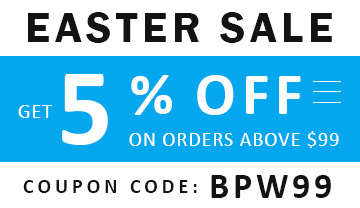 It is one of few pet care products, which has vet’s approval. However, a new pet parent, looking for Nexgard Spectra for his pet must consult his vet at first. This to know the added specifications attached with the product. The vet visit will help you clear all your doubts regarding the product. Do care for details attached to the product such as product’s availability in different sizes, depending upon your dog’s weight. In addition, it is not for use on pregnant dogs. The problem of fleas and ticks in pets across America demands an immediate solution. A product like Nexgard Spectra does offer a relief to our pets battling with this age-old phenomenon. Moreover, it prevents chances of heartworm in dogs, treats intestinal worms and works effectively against flea allergy dermatitis. However, as a wise pet parent, consult your vet regarding the product before you make this product a part of your pet’s life. The decision of your vet will be the guiding light for you in this avenue. For us, what matters is your pooch’s health. The well-being of your pet should be the first thing that matters most in this regard. Rest all considerations were and are secondary always.